Ruvi has a problem. Each night he wakes up with scary dreams. 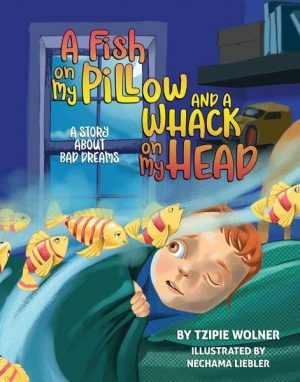 He dreams about yellow and pink fish swimming on his pillow; his baby sister whacking him on the head with her bottle; a swarm of ants crawling all over him…and he’s afraid to go back to sleep.